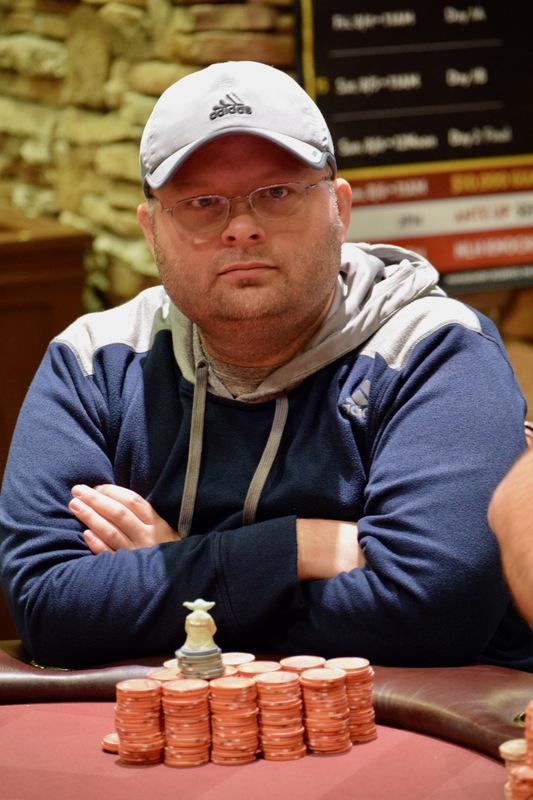 Remember when Chad Vitale, Brett Murray - all at the same table - were the three top stacks in Day 2 of the Monolith, all with 700k or more? Marcos Stokes (above) was at that table with 390k. he now has 1,360,000 and the chiplead, while the aforementioned trio each took a bit of a hit. 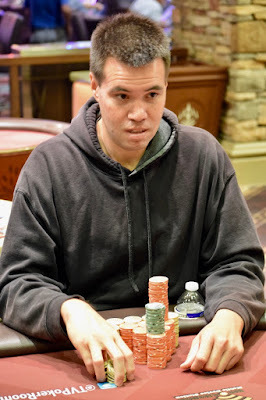 Joseph Shufelberger (below) is at 1,240,00 and 2nd in chips, joining stat-of-day chipleader Patrick Ng (1,150,000) as the three players with more than a milly.